Existing fencing: The border wall currently covers 652 miles of the 1,954-mile United States (U.S.)-Mexico border and is lined with walls, fences and other barriers, according to the U.S. General Accounting Office. Natural borders: In areas closest to cities, it has multiple layers. In others, there is no wall because the terrain already provides a natural barrier, such as the widest parts of the Rio Grande River and at steep, rugged mountain ranges. Species biodiversity: The wall will potentially impact the 89 endangered species, 108 species of migratory bird that call the area home, including numerous wildlife refuges as well as protected wetlands. 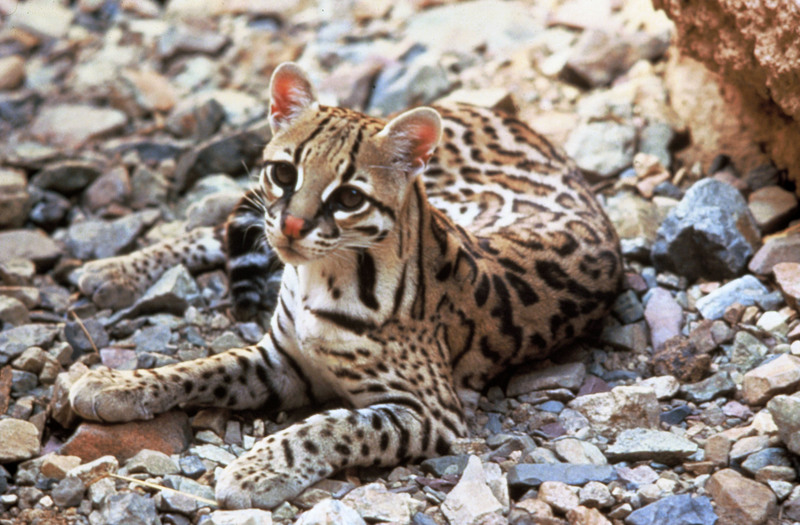 Endangered species include jaguar, Mexican gray wolf, ocelot and Sonoran Pronghorn. Geographic variety: The region runs from the California coast to the Texas gulf and crosses national parks, wildlife refuges, wilderness areas, national forests, bureau of land management lands as well as state, private and Native American tribal lands. Impacts: Construction, improvement and maintenance of border patrol roads, camps and facilities, operational noise and removal of vegetation harm wildlife. Its future: On January 25, 2017, President Donald Trump signed an executive order to build and complete the remainder of the border wall on the U.S.-Mexican border - all 1,302 miles of it. The Trump administration intends to invoke an anti-terror act, the 2005 REAL ID Act, to make that happen without following bedrock, environmental laws. Short-term and long-term consequences of a border wall on wildlife include increased wildlife mortality, disrupted wildlife migrations, reduced wildlife populations and altered waterflows. The borderlands, shared by the United States and Mexico, encompass some of North America’s most compelling and unique landscapes—and some of its most threatened. This unique and ecologically significant region spans desert, mountain and subtropical habitats, supporting thousands of species of plants and animals, dozens of human communities and many sites of remarkable cultural and historic importance. From seas of saguaro cactus to pine-clad mountains and verdant river corridors, the borderlands harbor spectacular and irreplaceable natural wonders. Imperiled species living in the borderlands include the jaguar, ocelot, Sonoran pronghorn, Mexican gray wolf, Peninsular bighorn sheep, and several varieties of ferruginous pygmy owl found nowhere else in the United States. Their survival depends on connected habitat extending southward into Mexico. An extensive network of national parks, monuments, wildlife refuges, forests, wilderness areas and preserves protect essential wildlife habitat and important cultural resources on both sides of the border. Defenders has stood against the border wall from the beginning, bringing a landmark challenge in 2007 that won an injunction halting the Bush administration’s effort to build a wall in the San Pedro River National Riparian Conservation Area in Arizona. Then, when then-Secretary of DHS Chertoff waived laws that protected the San Pedro, we filed a case asking the Supreme Court to review the constitutionality of the Real ID Act waiver authority. Our efforts include defending Santa Ana National Wildlife Refuge and the Lower Rio Grande Valley, challenging the San Diego Border Wall and Prototype Waiver, highlighting Species Conservation in the Borderlands and opposing Damaging Borderland Legislation on Capitol Hill.